New Patient Smile Analysis – IDA highly recommends that you include a “Free Smile Analysis” promotion on your site, because free consultations very often result in subsequent appointments for treatment. Don’t want to offer a free promotion? Just uncheck the box below and the promotion will be displayed on your website as a “Smile Analysis.” Remember to edit the provided copy to remove the word “free” in both the “Web” tab and the “Confirmation” tab on the page below. On this page you can customize three items. 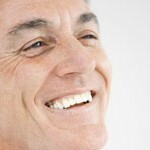 First is the copy that will appear on your website’s Smile Analysis page. Next is copy on the confirmation page your patients will see on your website after they submit the smile analysis form on your site. You can customize the headline and the message that will appear on that confirmation page. Third, you can customize the Subject line of the personal email that they will receive from you after they submit the form. In the “Smile Analysis” area of the “Customize Portals” section, you can include an offer for a “Free Smile Analysis” on your dental website. IDA highly recommends this, as free consultations often convert to high-value new patients. Prospective patients just fill out an online form and your office is automatically notified. In the “Smile Analysis” area of the IDA Control Panel, you can control how this appears on your website. If you uncheck the “Display on Portal” box in the top right corner, the Smile Analysis page will disappear from your website. But since it’s a valuable tool for attracting new patients, you’ll probably want to leave that box checked. In the “Confirmation” tab, you can edit the text of the confirmation page your patients will see on your website after they submit the smile analysis form on your site. After the patient submits the form online, they are automatically sent a confirmation email, and your office is notified. If you’d like to attract even more new patients with this offer, you could add this link to your newsletters, your website home page features, or your rotating promotions.